As we all know by now failed ex Democratic Party Chair Jennifer Moore has filed suit on behalf of Abramson Senior advisor to the Mayor on Labor, Greg Reddington, to disqualify Independent Michael Lewis from the ballot for the District 35 State House seat currently held by Democrat Jim Wayne. As usual there is more to the story. For starters Lewis was served September 24 and was given 20 days to respond to the allegations. This would put his response being due by October 14. Now Jennifer Moore has a motion for hearing set on October 4 which is ONLY 10 days from the date of the charges. Gee are they in a hurry or what? Guaranteed they are in a hurry and why not? Jim Wayne has been in Frankfort since 1991 and is definitely a part of the problem. With this year being a generally assumed anti incumbent year , Wayne does not want to take a chance on getting beat by anyone. Especially someone registered as an independent since no Republican stood up and ran. As you know in my previous article I asked Jim Wayne to denounce this action if he was not part of it. Of course he has not done that and won't. Why won't he denounce it? Because he is part of the harassment in my opinion. In fact Michael Lewis called Jim Wayne and asked him to denounce this pathetic attempt and as I reported yesterday Wayne wanted to let the issue "play out." Well I spoke with Michael Lewis again last night and Lewis informed me that Jim Wayne told him ex Democratic Party Chair Jennifer Moore did this on her own. Wayne told Lewis that Moore was targeting a couple of different races to try and get candidates off the ballot. The key here is that Moore was the one targeting the races. If that is the case, as Wayne alleges, then Moore illegally sought a person to use for a front man in Greg Reddington. Since when is it permissible for a lawyer to put together a lawsuit and THEN solicit someone to use for the plaintiff? Isn't that supposed to be the other way around? As the Democratic Party lawyer SHE made the decision to take this route and try to manipulate the ballot and deny the voters a choice in some races. This is how the machine has always worked but to continue allowing this type of behavior will turn more and more people away from voting and we will deny we the people of fair representation. Not to mention the fact that one of Abramson's pals in Greg Reddington is assumedly allowing his name to be used so Moore cannot be credited for the witch hunt. This of course would violate ethics laws and demands a bar complaint be filed. Guess I will add one more to the ones I already have filed that are being investigated as I write this. Bottom line is simple folks. Jim Wayne should be voted out of office for being a knowing part of this and allowing this to occur. If he is that scared of competition then maybe he shouldn't be in Frankfort in the first place. Since he has been there since 1991 he certainly has more to lose than we do by voting someone else in. Quite honestly since the Dems have controlled the House for so many years, and Wayne has been there 19 of them, he needs to go anyway. Put the blame where it lies on the failures of Kentucky. Wayne is proving just why so many are completely fed up with party politics and long for something different. Lewis should win this case easily and if Wayne and Moore think he is scared they better think again. I know Michael and I have spoken with him about this. They just screwed up. He is more fired up than ever and cannot wait for his day in court. Jennifer Moore has embarrassed the party once again and this time has embarrassed the bar as well. If Wayne's assertions to Lewis are right, then Moore, and Abramson's pal Greg Reddington, have a lot to answer for. Jim Wayne needs to go. UPDATES: HAL HEINER, MICHAEL LEWIS, AND MORE! Quick update. Posting has been slow the last few days my apologies. I started a third shift job to help pay for all this stuff I do and they immediately started overtime. Needless to say there aren't enough hours in the day right now but I am trying to work the schedule out so bear with me please. In the meantime much is going on and quite frankly even I couldn't predict the idiocy. Hal Heiner should be the next Mayor but unbelievably he is behind in the latest poll to Greg "I cannot tell the truth or create anything original" Fischer. What does it say when Fischer has been caught in lie after lie and has even gone so far as to copycat Hal Heiner's platform and try to pass it off as his own? It tells me this political hack machine is still strong and that will destroy us. Admittedly, Hal has not done himself any favors when he rolled out a campaign ad against the public schools policy. WHile Hal definitely has the best ideas for Louisville right now, in my opinion, he cannot afford to allow Fischer to continue lying and stealing his ideas. It is time for Hal to take the gloves off. Michael Lewis as you know is the Independent running for the District 35 House seat currently held by Democrat Jim Wayne. No Republican had the guts to run against Wayne and apparently the case of Michael Lewis is one reason why. When politicians feel threatened then they resort to second grader harassment and intimidation tactics. Wayne is no exception. 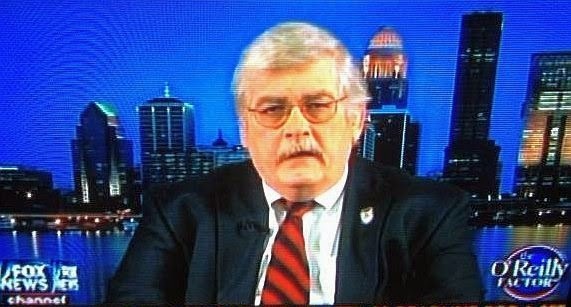 Saturday I did this article on Jim Wayne exposing the idiotic lawsuit challenging Lewis candidacy Louisville News and Politics: IS STATE HOUSE DISTRICT 35 DEMOCRAT JIM WAYNE RUNNING SCARED?. So what did Michael Lewis do? He contacted Jim Wayne and asked him to denounce this blatant intimidation tactic (Lewis was certified as legal by the Secretary of State) and Wayne refused saying he felt this situation should "play out." Of course Wayne and cronies were behind the false charges. I hope Lewis counter sues Greg Reddington for harassment and goes after his wallet. It should be a full one considering he is Abramson's favorite labor son. Ed Martin as you know has been the only candidate running in the 3rd Congressional District that actually has continued to put plans out and not the typical partisan rhetoric. He just released part 3 dealing with Capital Gains tax for small business. The release stated "The Libertarian candidate for the Kentucky 3rd District Congressional seat proposed a capital gains tax based on a sliding scale that would encourage long term investment. Under Martin's plan, the capital gains tax imposed on any investment maintained for more than five years would equal one half of the current rate. Any investment maintained for more than 10 years would not be subject to capital gains tax." Todd Lally on the other hand still doesn't get it. Lally has put up his first commercial and what does he do? Instead of giving us any substance he attacks Yarmuth for closing the business Lally worked in as a kid. The problem? Yarmuth wasn't even elected then. The business Lally refers to sold out back in the 1970's and Yarmuth had absolutely nothing to do with it. So much for truth in advertising huh? Anyone with half a brain can figure that one out. Finally, David James, illegal Jim King's favorite candidate son is allowing King, in my opinion anyway, to use people he knows to spread false information about Ken Herndon. It seems his latest tactic is to use Dr John Gilderbloom to make misrepresentations about Herndon on homeless shelters and closing pubs in old louisville. James and King must be really scared. They have tried to sue current Councilman Deonte Hollowell off the ballot, have pulled every string imaginable to keep Herndon from getting equal access in debates even though Herndon is a legitimate candidate, and arguably a better known one as well. I am being told that David James's campaign manager, Michelle Gallagher, fed this story to Rick Redding over at wlky's ulocal blog prompting the coalition for the homeless to respond directly on Rick's blog. They are disputing the information reported by Gilderbloom. 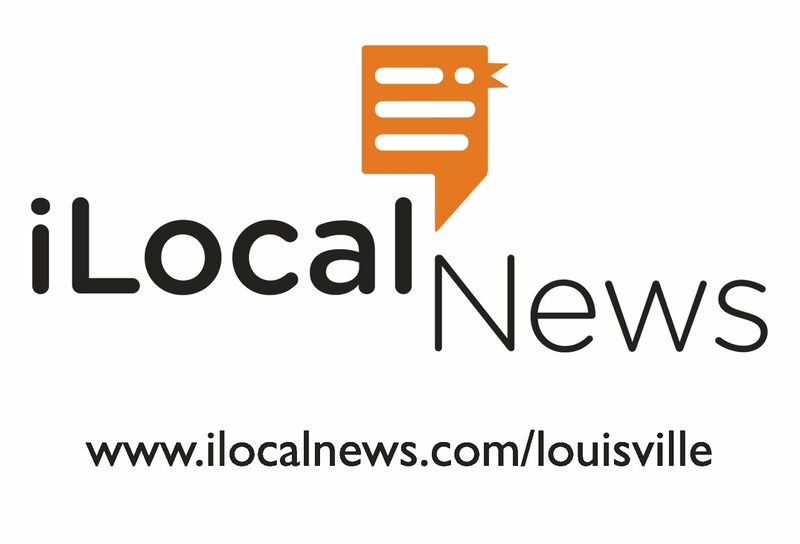 You can read the story here No Consensus on Homeless Task Force - WLKY's u local Local Voices post - u local, Your Kentucky Photos & Videos. "You mention that Dr. Gilderbloom and members of the Original Highlands Neighborhood were removed from the Task Force. This was also the case for The Coalition for the Homeless and was due to a conflict of interest caused by an outstanding law suit associated with the citing of a shelter at Mercy Academy in the Highlands. Additionally, you and Dr. Gilderbloom neglect to mention that he owns property in that neighborhood. These conflicts, however, did not preclude him or others from attending the meetings or submitting comment to the task force or attending the hearing in April created to accept public comment." The devil is always in the details left out. Gilderbloom owns property in the area. Connect the dots folks and vote accordingly. IS STATE HOUSE DISTRICT 35 DEMOCRAT JIM WAYNE RUNNING SCARED? It would appear so. Apparently the Dems are so worried about losing seats in the House this year they like to pull bogus lawsuits late in the race to make people believe the candidates running against them are not worthy or running illegally. Metro Council District 6 Councilman Independent Deonte Holloweel has already been charged with not having the right signatures Louisville News and Politics: METRO DISTRICT 6 HEATS UP:DEMOCRATS WORRIED ABOUT HOLLOWELL and now the Dems are going after Independent Michael PW Lewis trying the same tired game. Don't worry this is not party specific as the Repubs tried the same game against Libertarian Ed Martin as well. By the way those charges are being investigated because they were illegally made but I digress. The biggest question right now is why would District 35 State Rep Jim Wayne allow this idiocy. Is he scared of competition? District 35 had NO Republican with the guts to run against him so Independent Michael Lewis collected 170 signatures (he only needed 100) went to the Secretary of State's office to file and his candidacy was validated right then and there. So why pull this garbage all this time later? Because they can and that is a major problem. Perhaps it is because Abramson thinks he will be Lt. Governor next year and needs as many Dems as he can get in the House. Yep some will say that is a conspiracy theory but I don't think so in this case. You see the person who filed the charges is none other than Greg Reddington who is Abramson's Senior Assistant to the Mayor in Labor Relations. Why him? As we all know labor has gotten screwed so many times under Abramson it defies logic that someone who actually is a Senior Assistant to the Mayor would even involve himself in this mess. Ask the firefighters and the police what they think of Greg Reddington or the Mayor's office. No once again it appears that Abramson is trying to stack the deck with his cronies early and that is a problem. Yep I know the State House is not a local office, however, Louisville Democrats need to keep their favorites in place in anticipation of Abramson getting elected on Beshear's coattails. That way Abramson can continue screwing us taxpayers at the next level and try to hide his deficiencies in Louisville with State money. That is a major red flag for most I speak with. We do not need more of the same at a higher level and that is what we will be getting with the Abramson machine boys. Did Reddington do this on his own? Who knows but if he did it was a stupid thing to do if he was trying to protect Abramson. If he did it to protect Jim Wayne it was equally stupid. Jim Wayne if you don't agree with this and were not involved you should denounce this action immediately and ask that it be withdrawn. I don't think it would be too hard to do that on Monday for the 6 o'clock news myself. I won't hold my breath. Is Jim Wayne so fearful of someone running against him that he has to put someone up to this on his behalf? It would appear so. Does Jim think the only chance he has at winning is to have no opponent? That is exactly what he wants. WIthout Lewis on the ballot there is no choice in District 35 and that is a problem for many. Folks this is just part of the same old game the party hacks continue to use to keep others out of office. Lewis will beat these charges easily but what will he have won? The SOS verified his signatures long ago. So what is the intent of this harassment? To negate any chance he would have at winning. Even if they recanted this suit at this point the damage is done to a Lewis candidacy. Wayne or his insiders will spread the gossip about charges being filed against Lewis even though they were not worthy ones. They will of course not mention that Lewis was right and they were wrong. That will be a dig at Lewis's character and that will be hard to overcome especially as an independent of either party. They have done the same to Councilman Hollowell in Metro District 6. When you can't beat them honestly, destroy their character and negate their possibilities. It is a sad, pathetic way to run a campaign and that destroys our faith in the system itself. It is time to change the laws accordingly. Anyone who wants to run for office should be required to have an equal number of signatures. If that number is 2 for the parties then it should be 2 for anyone. If the parties want to continue playing this BS suit game against legitimate candidates just to cost them some votes then the person who files these charges should have "skin in the game." If they are found to be harassment charges then they should be tried for defamation of character and sued on a personal level. See what happens when they lose their hard earned money in court. Michael Lewis is a stand up guy who did things by the book and is a legal candidate. For those like Jim Wayne, and Abramson cronies such as Greg Reddington, to try this ridiculous stunt just because they are scared says a lot more about their character then that of Michael Lewis. Have you had enough of these games yet? I hope so and I for one am asking everyone to vote against those that play this game. Yep I know the PVA election is one of the boring ones but it also is one of the most important. PVA candidate Corey Koellner had this to say about the Ford tax decision. Louisville, KY - The Kentucky Board of Tax Appeals ruled against the Jefferson County Property Valuation Administrator yesterday, citing "flawed" information in their attempt to increase the assessed value of Ford Motor Company's Kentucky Truck Plant. The Jefferson County PVA was attempting to increase the value of Ford's property by over $30 million. Corey Koellner, a candidate for Jefferson County PVA, responded to this ruling by saying, "I agree with and applaud the Kentucky Board of Tax Appeals ruling. Inflated property values are not only bad for working families, they are bad for business - which means local jobs. As a city, we will never reach our full potential in job attraction and creation with a reputation for 'sticking it' to our employers. It seems our current PVA is more concerned with managing the city's revenue stream than the fair treatment of Jefferson County property owners." The Koellner campaign has been advocating for the fair treatment of all individuals by the Jefferson County PVA office. Koellner, a Certified Internal Auditor, intends to use his accounting background and professional experience dealing with valuation-related issues to bring a more informed presence to the office. For additional information regarding this release, please contact Corey Koellner. The headline is clear cut. PVA Tony Lindauer decided to spend tax money fighting against Ford Motor Co over hyper inflated assessed values by whom? Lindauer PVA. read about it here: Ford saves nearly $1M in Jefferson County tax dispute win courier-journal.com The Courier-Journal. Many will wonder why I am so against Lindauer in this fight and believe me the list is long but I will focus on some tings I think we need to improve on. First of all the economy has been in the tank for a couple of years now. With home prices falling across the Country, and yes in Louisville as well, it only makes sense that appraised values would fall as well right? Not with Tony Lindauer in charge. Assessed values continue to go up creating much needed money for things like education for example. While no one would argue that education funding is necessary many would argue that using an essentially built in government tax theft program would be the wrong way to do it. For homeowners you can appeal your assessments as well but how many homeowners todya can afford the money to hire an outside auditor? Ford as you may recall was the only auto manufacturing company that did not take the bailout money from TARP funds. They mortgaged their company to the hilt even putting the blue oval itself on the line for collateral. They have never threatened to leave over assessed value of their property opting instead to take it to the Kentucky Board of Tax Appeals. There is one glaring question here that needs to be asked. How in the hell did Tony Lindauer's hired guns get the value so wrong to begin with? Ford valued the truck plant at $35-39 million overall. What did Lindauer's hired monkeys come up with? A whopping $67.9 million! That is almost double what even the Kentucky Board of Tax Appeals agreed it was worth. With home assessments going up and business assessments being unfairly calculated it is clear that Tony Lindauer really doesn't understand his job or just doesn't care. With Tony Lindauer's office getting ready to come under scrutiny as well for illegal homestead exemptions that many do not know about (yep I will be reporting on that one soon) it is clear that Lindauer is using the office either of his own accord, or being told to by the Dem machine to create money. That is not the job of the office. Corey Koellner is a Certified Internal Auditor and knows exactly how the office is supposed to work and has the knowledge and experience to lead it in the right direction. At this point and time with so many things wrong with Louisville finances, check out the Crit LuAllen scathing Abramson received during the audit for proof, one has to wonder why the job of PVA is not one that requires a degree in accounting or some sort of auditing background. Mr. Lindauer has a degree in English and a construction background. While many would agree that the construction background is important, the PVA is evaluating worth of property, one would also have to argue that the current PVA Mr. Lindauer may be using whatever his experience is from a more prosperous time. The facts are values have decreased in real estate. Most would not argue that point today even though it is a rare occurrence but we have not seen the assessed property taxes devalued in the same way. In many cases they continue to go up. Either way with these kind of mistakes, and a willingness to waste tax money in a down economy trying to force a major local business to basically double their taxes to make up for shortfalls, we have a problem. Coupled with the upcoming story on the homestead tax exemptions he has ignored costing us almost a million we have even more problems. Time to right the ship in Louisville and that means electing some new blood. Itis time once again to get rid of someone who is part of the Democratic machine. Ok I admit I could not resist the title of this article but to see Horne display this partisanship really bugs me. It seems Andrew Horne is throwing his weight (or lack thereof) behind Greg Fischer for Mayor. That is fine no problems he supports Fischer God Bless America but the problem I have is the way he decided to go about it. Why would Horne decide to go this route and trash Allen for supporting Heiner. It had noting whatsoever to do with Horne. That is the rub. (me)"Andrew Horne just proved why he doesn't need to get elected with this letter. Partisan politics are what is destroying America as we know it.... Horne wants to discount Tyler Allen because he did not tow the party line and support what he considered to be a worse candidate? Horne needs to look in the mirror and ask himself why he has to play partisan politics. This whole veteran thing everyone likes to use with him is getting old. I am a vet and as I recall we served on behalf of ALL Americans not just one party or the other. Leadership demands taking a stance for the betterment of us all not a typical partisan stance that does not include all. Being a leader does not mean taking a popular stance it means taking a stance for the right reasons regardless of popularity. Sorry Mr. Horne while I appreciate your service I cannot follow blindly any political idealogy as the problems we face today are bi partisan ones." (Horne)"Andrew Horne Everyone should support the person they believe in but if anyone runs for office as a member of a particular party and then flips when they lose they deserve to be called out. I would have called out Greg Fisher if the postions were reversed. Curt, Re "selling out" i'm confused, I assume that is not just because i disagree with you, about Hal's judgment and justice issues and I haven't been offered a job by anyone and wouldn't take it if I was. Mr. Springston, partisan politics? I know you claim to have once been a democrat but but can you point to recent evidence of your support of any democrat?" What makes this so funny is Horne is proving exactly why I say he is a partisan hack by his own statements. Perhaps he forgets just how much he was against Fischer in 2008 when he ran against him for the Senate. Either way read his opening line. Everyone should support the person they believe in... then he goes on to discount why they should do that railing instead against Allen for not supporting the party first. Kudos to Allen. Allen proved he is beyond the partisan hack ways with this endorsement and stood up for who he believes in. I don't recall Tyler taking any shots at Fischer either. I also find it interesting that Horne had to qualify his statements with this: "I haven't been offered a job by anyone and wouldn't take it if I was." Did anyone imply such a thing? Seems like a very defensive statement to make without any accusation. I guess we will be watching this closely if Fischer pulls it off eh? As usual when the party gets scared they try anything and everything to get rid of competition for what they deem to be their birthright. In this case Metro Council District 6. William Clark, who I believe was put up as the sacrificial lamb in District 6, has filed a lawsuit to have Councilman Deonte Hollowell removed from the November ballot for the Metro Council District 6 seat. Perhaps it is because Councilman Hollowell is making a real difference in District 6 and proving he is not just a lame duck like the Democratic party had hoped. More importantly why now? And who is representing Clark? None other than failed former Democratic Party Chair Jennifer Moore. That should say enough shouldn't it? So is Moore doing this on behalf of the party? Who is paying the legal bills for it? And so on and so on. Moore was a disgrace as the Democratic Party Chair and was rewarded by being the party attorney. It is being investigated as I write this. These tired games by the establishment on both sides are getting old and we the people must demand better. To continue allowing the parties to play these asinine games makes them believe they work and they will continue doing so. They feel they are empowered to continue going down this road and destroying the integrity of the electoral process. And for what? Party control. They do not represent we the people anymore only we the party and that is unacceptable. After making a few calls this suit is rumored to be sought on behalf of David James the Democratic candidate on the ballot for District 6. Of course James is backed by illegal guy Jim King. Remember he was found guilty by the KREF, paid a combined fine of $30,000 with daughter Judge Katie King, and is STILL under investigation by the Kentucky State Police for possible criminal wrongdoing. So yeah this is typical. In the meantime why would they play this silly game? from a legal perspective, was this done in a timely manner? When asked about her client, Moore would only say that Clark is a registered voter who lives in the District 6. She said issues with Hollowell’s petition were “brought to our attention,” but then declined to say by who. I will give you 3 guesses who "brought it to their attention." David James has a serious problem getting elected. He just changed his voter registration to District 6 in March and if he moved there in March then he is disqualified as not being a resident for at least one year in the District. Though James says he has lived in the District for a year there has not been any proof offered showing such. I mean does he not even have an LG&E bill from over a year ago that he could offer up? Looks like the answer to that is no so far and that raises questions. Not only does James have potential residency problems, he also has political ones. Ken Herndon, who many believe should have gotten the appointment from the Democratic Party, myself included, is also running as a write in candidate. With Herndon's popularity he will most certainly take a ton of votes from James even as a write in. James cannot win with Herndon in the race and incumbent Deonte Hollowell in as well. The typical Deomcratic votes will split between James and Herndon leaving Hollowell the winner and that is why he is trying to remove him in my opinion. WIth Hollowell out of the race that is more voters that James will desperately need to sway if he has any chance at beating Herndon. This blatant self centered partisan hack game being played by hack Jennifer Moore, presumably David James and Jim King, is exactly the reason we do not need James elected to any office today. If Clark was coerced into filing these charges by Jennifer Moore Democratic Party attorney, and ex Chair then that is serious as well. The sad thing is tis is exactly what we had come to expect when Moore was Chair. it is time for her to be open about who "brought it to their attention" and who is paying for the legal services. In the meantime. Stay the course Councilman Deonte Hollowell. Many of us throughout the Louisville community appreciate the honesty, openness, and integrity you are bringing to the District 6 seat you now hold. It is time now to make those hacks like the Jameses, Kings, and Moore's of the world go away so we can move forward. It is getting almost comical watching the destruction of 3rd Congressional Republican candidate Todd Lally implode. Seriously. For months now I have been asking Todd for specifics finally opting to jump off his bandwagon because he just does not get it. He still today less than 6 weeks before the election does not have a plan. Great headline with one problem. Lally has no plan. The CJ even quotes him in their own article as admitting such. From the article: "Republican House candidate Todd Lally on Monday released a jobs plan that includes small business tax incentives, penalties for shipping jobs overseas, reduced regulation and low taxes he said would boost employment." "Lally said he didn't have any specifics on his small-business tax credit proposal." But he cannot provide specifics on how he will address this? After a year of being in this race? Folks this is exactly why I left team Lally in the first place. No substance. That has always been Todd's problem. He likes to speak with party rhetoric but has not, and will not do the work necessary to develop a plan and back up what he preaches. If he is that lazy now how in the hell will he govern? In the meantime his Libertarian challenger, ed Martin, has already outlined a specific example of relief for small business and also included specifics on revamping workers comp which is killing small business. Seems Lally has some serious catching up to do. It also appears the CJ really needs to rethink their headlines. Lally has no plans to lead with a headline like the one the CJ used is misleading as hell. Look elsewhere than Todd Lally if you want to move forward folks. If you can't vote Yarmuth then vote Martin. At least you know what you are getting. As you know I have been a stalwart opponent of MSD and their debt structure. MSD is bankrupting and will continue to bankrupt us if we do not get control soon. They are so far out of financial control that State House Reps like Linda Belcher, and others, are trying to force HB 221 through the House and the bill has already been prefiled for next session. Wonder why they need this regionalization? Just follow the money. Abramson running with Beshear for Lt Gov is so that he can abuse State money now to cover his incompetent losses in Louisville. Recently, the Future Fund requested an audit from State Auditor Crit LuAllen that I touched on here: Louisville News and Politics: MSD AND THE CJ: LET THE SPIN BEGIN! Since then I received the entire report from Future Fund. 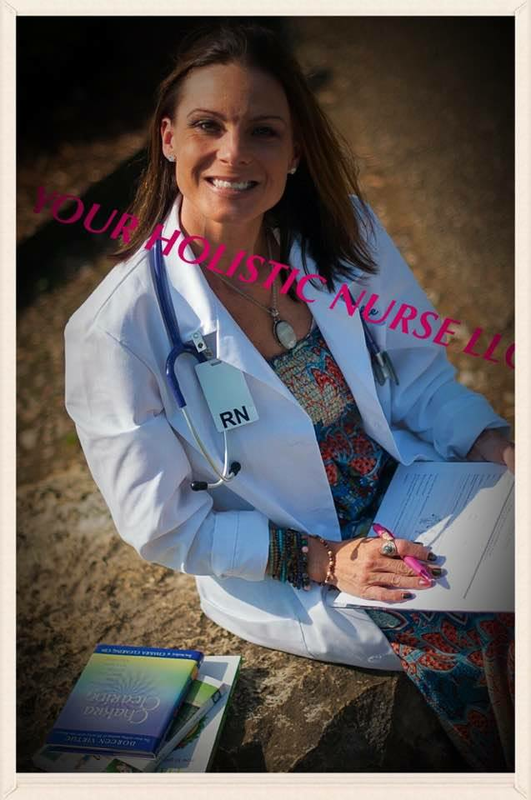 You can write me here at myviewmatters@aol.com for a copy. Though there are some bloggers who prefer to downgrade the facts of Future Fund's arguments because of a personal vendetta against Steve Henry in this case I will let the facts speak for themselves. Future Fund has done an excellent job laying out exactly the same things folks like Ray Pierce and Paul Holliger of STOP I.T., the guys with the current lawsuit against MSD for illegal rate increases, and myself who have been fighting this fight for many years now. Future Fund welcome aboard. This fight is too crucial for Louisville's future to allow politics to be the thrust of the argument. So while there are some who refuse facts because of personal bias this article will give you an insight into Future Fund's allegations. Lexington on the eastern horizon. Both are big cities in the same state with very different long views that carry very different bottom lines and very different approaches to planning and paying for what they do. Forget for a moment everything but the money. Forget good governance, forget integrated planning, forget plan first then build smart, forget federal consent decrees and guilt and fines, forget 4000 acre gifts of Parklands on Floyds Fork, forget the long view– focus on just the money. Forget mission and metrics and lean and green and triple bottom line. Forget the realities on the ground; forget to listen to the neighborhoods and the neighbors and every expert that’s looked at Floyds Fork since Mitch McConnell and The Mayor were political pups. Forget the Floyds Fork DRO, who came first, forget health warnings on our streams focus on the money – all 3.7 billion dollars of it. We have. It scared the hell out of us. We thought the least we could do was try to make the story engaging. child in the county. Something point something billion, remember? It’s a big number and you can’t find it rolled up in Louisville’s financials anywhere, you have to calculate it. That rolled up dollar figure of debt for every man woman and child - Lexington has used it as a public measuring stick for years. If you don’t measure it, you can’t change it. estimate for each of its 279,044 citizens. Without interest they estimate it will be about $1175 or 2.2% of its citizen’s personal income. Year before it was $ 816 per capita. They really beefed up the fireman’s pension fund last year along with integrated bonding for everything else Lexington does. Lexington does integrated planned, it set an urban services boundary years ago, spends millions to purchase development rights, has a greenway plan, not because it’s touchy feely, they do it because it’s smart and it pays. It protects the budget and what makes Lexington Lexington – horse farms, prime agricultural lands, downtown, developers, and the environment. They bond roads and sewers and parks and fire and police all at once. We added interest when we ran the numbers. Interest is interesting. Our banks and your creditors look at principal and interest loads when they look at our financial stability. Governments carry interest on the books as a cost of doing business, in the back of their financial statements. Principal is carried up front, top line. Component units of government do too. Makes us wish somebody added this all up a long time ago – half billion here, a billion over there – pretty soon we’re talking “real money”. sum of the parts is greater than the whole and all that. In large measure Lexington is run that way. The citizens are at the top of the organization chart, and the financials and press releases have an integrated community feel. All of Lexington’s component units combined comprise less than 30% of Lexington’s total debt. principal debt load of one component unit of Louisville government – MSD – is 66.5% of Louisville total debt. Its debt load is 3.4 times that of Louisville Metro, without interest. It’s all hidden in Plain Sight – If you’ve got a good internet connection, a spreadsheet and a months worth of nights to add it all up. Financial statements are interesting too. At 100-175 pages each the trust waded thru 20 years of MSD’s finances and the last decades’ for Louisville and Lexington. Financial statements are actually incredibly interesting. What they tell you is where the money goes, and at what cost, and where a cities or an agency’s actual priorities lie – where they actually send the money they raise and borrow and what and how and how much they pay for it. One can gauge - No, One can actually measure philosophy, intent, frugality, prescience, planning and commitment and a host of other insights from financial statements, as well as measure the money. They tell us where our government puts our money. As far as we know this is the first look per capita in a long time of the impact of the entirety of Louisville’s borrowing and what it costs Louisvillians, maybe ever. It makes farmers and businessmen and bottom line and long view thinkers wonder why. The Future Fund, Inc. prefers to spend it’s time and resources on land – looking at maps, deeds and the the like. For a decade and a half we have been ably helping assemble what the consultants say is the largest urban park and open space network in America. integrated design for the Floyds Fork corridor, to defend our property interests, and as an unexpected consequence of our investigations and due diligence on sewer concerns and in keeping with our charter to plan for perpituity we are issuing this call for coordinated planning, fiscal restraint and clarification. Add to that another $½ to ¾ Billion in pending consent decree costs and MSD believes it too when chief engineer Mark Johnson states at a recent open house that MSD won’t be able to afford to build sewers until 2024. Mr. Johnson apparently missed the date by 15 years. MSD’s current debt (our debt) is leveraged until 2039. There’s another half or ¾ billion dollars in principal coming, with interest on top. What Louisville doesn’t say, any where near as clearly and on the record as Lexington is what the consent decree will really mean to Louisville. Lexington does, right up front, under contingent liabilities along with all the other lawsuits and legal actions pending. Lexington’s CAFR will also tell you that next year they will spend $40.65 million of a $506.381 million dollar budget on the consent decree, or about 8%, on top of business as usual. take a more streamlined, focused and effective approach to protecting the environment. Lexington gets it – The mayors response to their consent decree was a refreshingly honest emergency address to explain where Lexington broke the law and how they were going to pay for it. There is a risk management specialist on Lexington’s new environmental quality board. ¼ or ¾ billion dollar hits to governments’ budgets due to regulatory noncompliance and apparent inattention are really big risks. It pays, big time, to manage them. Taking fractional billion dollar hits and then essentially doubling them thru expensive borrowing ought to get a risk manager and the public utility commission assigned to the case as well. continued to spend more public funds correcting those same problems since then. Add to this the ¾ Billion dollars or so of current consent decree mandates that MSD has begun running up on their rate payers credit cards and we trust the public begins to get a sense of our concern and call for an integrated approach to Floyds Fork and environs. It was MSD’s potential condemnation action that caused the trust to take a close look at how MSD’s and metro’s actions have and might continue to impact Louisville and the decade and a half’s worth of park and open space land holdings the trust and its partners have assembled. We too want to avoid the mistakes of the past due to “deficiencies related to poor or misaligned planning and zoning policies”, and one debt saddled agency planning court ordered infrastructure in an apparent vacuum. interest off the top lines, as an accepted cost of doing business. To get a clear picture of the projected impact of MSD’s debt load, with interest, one is forced to the back pages of financial reports and the like. That 1.4 billion dollars of principal actually translates in payment obligations of $2.72 billion burdening the organization, this community and MSD’s ratepayers until 2039. Every five years, from now until 2034, MSD is on the hook to send a half billion dollars ($470,000,000) to the bond houses. From 2010 to 2014 three-fourths of it is interest. is flirting with half of every dollar. to a $1.675 dollar paid per dollar borrowed. amortized at 3.4 times the average cost of debt for the rest of Louisville Metro. We’re willing to bet it’s got a lot to do with the amount of debt, those credit swaps, and Moody’s and swap agents and the like. When you roll it all up with principal and interest the aggregate debt load per citizen in Jefferson County KY is well over $5100 for every man woman and child in the metro… with MSD’s share of the burden at 2/3rds of the total. Let us put it another way. If MSD had financed their $1.4 billion dollar debt at the same markup as the rest of Louisville Metro they, err we, would have saved, among friends, almost a Billion US dollars. ($929,573,711.10). Lexington’s’ entire Debt Load. We did. A picture really is a worth a thousand words…or maybe $929,573,711.10. A Take of Two Counties: Don’t believe us – Believe Jefferson County - Alabama. “Jefferson County (Alabama) is one of the most indebted municipal governments in United States history, with a current debt of approximately $7,000 for each man, woman and child residing in the county. Two extremely controversial undertakings by the county account for the majority of this debt. First was a massive overhaul of the county-owned sewer system and second was a series of risky bond-swap agreements. Both have been scrutinized by federal prosecutors with several former county officials convicted of bribery and corruption. In 1995, Jefferson County entered into a consent decree with the Environmental Protection Agency regarding sewer overflows into the Cahaba River watershed. A total of $3.2 billion of new construction was subsequently contracted, both to comply with the consent decree and to expand the system to newly-developing areas and increase the number of ratepayers financing the construction. Much of this work was awarded to inexperienced companies, many of which have since been convicted of bribery along with several county officials. A series of controversial interest rate swaps, initiated in 2002 and 2003 by former Commission President Larry Langford (removed as the mayor of Birmingham after his conviction), were intended to lower interest payments, but have, in fact, had the opposite effect, increasing the county's indebtedness to the point that officials have issued formal statements doubting the county's ability to meet its financial obligations. The bond swaps are at the center of an investigation by the United States Securities and Exchange Commission. In late February 2008 Standard & Poor's lowered their rating of Jefferson County bonds to "junk" status. The likelihood of the county filing for Chapter 9 bankruptcy protection has been debated in the press. In early March 2008, Moody's followed suit and indicated that it would also review the county's ability to meet other bond obligations. County – Kentucky, and then act. We have. interested in what it costs ‘em to do it or what our share of the pie chart is going to be? MSD, according to its actions and its chief engineer, can’t afford to build waste water facilities – put plainly - they can’t afford their mission. In the 20 years we have reviewed MSD’s books their asset value and their debt load have paralleled one another. In other words they borrow nearly every dollar they use to build, with interest. At the same time their ability to service their debt and the percentage of debt service have changed dramatically over 20 years. frequently ranges from 5 percent to 15 percent.” MSD’s debt service is nearly 50% of its income and 58% of its outlays. MSD in 2009 spent 140% more on debt service than it did on operating sewer, stormwater and flood control. • All while financially insuring that we can’t afford to pay for our mission, today. If there was a kinder gentler way to put it we would. Maybe Harry Truman said it best: “I never give them hell. I just tell the truth and they think its hell." sprawling, Louisville onto its developers, cities and citizens, thru recapture agreements. That’s another story - Not to mention thru borrowing at 2.5 to 3.4 times the average cost of debt of either Lexington or the rest of Louisville, respectively. Lexington in 2008 after its Federal Consent Decree for violations of the Clean Water Act announced that the next year rates would go from $10 to $15 and the year after increase another $5 to $20 a residential customer. MSD’s Rate history after the consent decree was sub 10% increases until the bond houses squawked…. Then came an increase of a third or so, with rates now set to increase ~ 7% each year. The rule of 7’s confirms your sewer bills will double each seven years with 7% increases. Interest in this case is, well, interesting. What MSD did with interest is over $900 million more dollars than necessary worth of interesting. It’s hard to ignore $900 million worth of excess bonding cost, unless you’re not watching. You don’t plan to fail financially – you fail to plan. Ask your insurance agent. It’s hard to miss a billion dollars when you roll up all the numbers. Louisville apparently doesn’t roll up and manage by the numbers. Louisville doesn’t tell you what its combined debt load per citizen is. Moody’s rating of MSD’s debt is A2 with a stable outlook after being assigned a negative outlook earlier last year, Louisville’s last offering is ranked Aa2. Lexington’s General obligation bonds are Rated Aa2 from Moody’s, their sewer bonds are Rated Aa3 from Moody’s. scores for individuals – they drive the cost and availability of capital. While bond ratings help set the rates, the borrowers set the term and terms. If Lexington took on no new debt they would retire essentially all their debt in 20 years. Interest on Lexington’s payments this year is under 30% of the total payment. MSD’s payments for the next 5 years are 75 % interest. In layman’s terms MSD took an expensive 30 year mortgage cause that’s either all they could afford or they took it by choice. Either way it will cost us all a lot, until 2039. MSD is a utility that doesn’t look like a utility – no PSC oversight, No Metro Oversight, and a budget and debt load that dwarfs the budget and debt load of the city it is supposed to serve. It’s the component unit of government that ate the budget of all of government, and it binds every citizen in Louisville with over $3800 in debt. MSD costs Louisville over three times per citizen what Lexington costs Lexingtonians – for nearly everything Lexington does. In short folks MSD is bankrupting us as I have outlined in previous articles. Regardless of what some think of the players at Future Fund the facts speak for themselves. I personally am glad someone spent some time and resources verifying what many of us already knew. We need to get control of this train wreck called MSD and by proxy its leader Jerry Abramson. For those Counties in the surrounding area throughout the Commonwealth pay attention. HB 221 they are trying to cram down your throats will bankrupt you as well. The numbers don't lie and you can count on it. 3RD CONGRESSIONAL DISTRICT LIBERTARIAN CANDIDATE ED MARTIN WHERE ARE YOU? One thing that most agree on that I speak with is that 3rd Congressional Rep John Yarmuth needs to go. One other thing they all agree on is that Todd Lally has no substance and their support is only because they want Yarmuth gone so badly. What does this mean? Many feel they are being forced to vote for a substandard candidate like Lally as an anti vote against Yarmuth. This begs one question? Why vote for Lally then? Admittedly, at the beginning of his campaign I was with those that believed Lally could win and do better. I have come to the conclusion based on my personal dealings with Lally that he is more of the same and not a good choice for representing us. Additionally I believe the local GOP needs a good swift kick in the pants to get them into gear. In an election year like this one, where there is a real chance to make substantive changes we all seek, we should have had a strong leader to choose from. We do not want, nor need, a substandard candidate for this critical office like Todd Lally. He has proven to be more of the same. All talking points and no substance and we the people today are getting smarter and sick of these type of options from the 2 party system. The mentality of voting for the lesser of two evils is beyond old. We must stand together and elect those with substance to offer. Even if they are the outsider candidate and lose I can sleep at night knowing I voted for the best candidate for the job. I am sure many others feel the same way. What better way to send a message to the parties that we are sick of being ignored and force fed these lame choices than to elect an outsider. One who really has ideas and a plan to get us there not some boring talking point with no plan. I will not be voting for Lally or Yarmuth period. They both lack the substance we demand, thus allowing us to make an educated choice on the facts of their platforms, instead opting to use standard talking points by partisan players who fail to deliver on them. Which brings me to this. Libertarian candidate Ed Martin where are you? Many know I am friends with Martin admittedly, it is one reason why I have not worked on his campaign, or invoked myself into it with the exception of Lally's idiotic shenanigans trying to get Martin off the ballot, but even I have questions about his candidacy. Ed Martin is probably the smartest of the candidates. Seriously. A MENSA member, small business owner, and not afraid to share substance on the issues. He proves leadership everyday. So what gives? As we all know if you are not part of the two party system you generally get ignored by media, which you need to get your message out. Mainstream is not going to give anyone outside the two party candidates fair and equal coverage at no charge. You must earn that coverage in their eyes and that means getting busy. Knowing this it is imperative that you work even harder than your competition because you literally have to if you plan on getting votes. The parties have a machine in place that helps them financially and through volunteers. They have the money, resources, staff, and media. They can reach many more people even though they are not personally engaging them. Outsiders to the two party system have to fight for everything that is literally handed to party nominees on a silver platter, including media, to help get their message heard. And what message are the parties sending? Talking points, negative campaigning, and no substance. In short divisionary messages that accomplish nothing for the average American. It is about the party power not we the people anymore. Where then is Ed Martin? While Ed is putting out some substance in media press releases, such as the $25,000 small business tax exemption, he is still being ignored by mainstream which is why I say it is time to hit the streets. Knowing Ed has a business to run I still say it is time to get out of the warehouse and into our house. People are ripe for a change in leadership and this is the year Libertarians, independents, and other 3rd party candidates have a real chance at sending a message to the status quo two part system. Think I am wrong? Look around the Country and pay attention to the tea party candidates who are making waves all across the US. The message? We are fed up with the bipartisan lies and lack of direction and leadership. We demand candidate choices who have a detailed plan on what they want to accomplish. We demand substance and facts on your talking point platforms. We demand accountability. None of which we get from partisan hacks like Democrat John Yarmuth, or Republican hack Todd Lally. What better way for we the voter to send that message than to elect someone outside the two party system, that offers real substance instead of talking points, and who just happens to be as tired of the two party system of lies and misdirection as even many party members are themselves? It's a two year election so what can we achieve by voting this way? Plenty. After two years of not having the seat perhaps then the two parties will finally give us substance instead of the same old garbage candidates we have been force fed into. Martin gives us a choice of just such candidate, but how many know of him? Only those who pay serious attention to the races. Most still continue to get their information from mainstream media and BS commercial ads sadly. The only way to involve the people and open their eyes to new possibilities is to engage them. No one outside the two party system can even consider an outsider if they are not engaged. To my friend Ed Martin. I respect your candidacy and I know how hard you work at your business, at home, and in this campaign. But most don't know you well enough to make that statement. I know after many conversations with you and hearing your ideas and plans they are what we need today. But most don't know you well enough to know that. I know how much you want this job and I know how hard you will work to represent us. But most don't know you well enough to make that statement. It is up to you to make sure people hear the message. It is time to delegate some of that responsibility inside your plant to others so you can free up more time to campaign. Invest some money and make more time available. We the people cannot vote for you if we don't know who you are. So here is my challenge to you. I challenge you to stand up and force them to recognize you instead of allowing yourself to be ignored. Fight for this seat as hard as you fight for the changes. In short, you need to engage more. I know firsthand how tough an outsider campaign can be but without engaging the people there is no shot. We the people are screaming for someone who not only hears us but someone who can respond with a detailed plan on how they can help us. You have a plan. Now is the time to engage and share it with us. You have to engage we the people 100% of everyday in this campaign. It is yours to win or lose alone. MSD AND THE CJ: LET THE SPIN BEGIN! As someone who follows closely all things MSD I obviously checked out the CJ story yesterday in regards to the "audit" most feel is being done by Crit LuAllen's office on MSD. Parks fund challenges MSD management; state refers claims to private auditors courier-journal.com The Courier-Journal It was comical seeing just how the CJ tried to spin the story and ignore the obvious. Crit LuAllen is not doing an audit of MSD. In fact MSD is doing their own audit. The state auditor’s office has asked the Metropolitan Sewer District’s auditor to look into allegations that a local nonprofit has made about financial and other irregularities within the sewer agency. State auditors expect MSD’s certified public accountant, Crowe Horwath, to report by the end of the year. So much for that theory eh? But Bruggers has a lot of things wrong with this article. For example he states that "In June, The Courier-Journal reported that MSD was carrying its highest level of debt ever — $2.7 billion including interest payments — with more borrowing to come to pay for a 19-year, court-imposed $850 million sewer rehabilitation program." MSD voluntarily entered into a CONSENT DECREE with the EPA. They were never brought before a court or mandated to do so. The Court then APPROVED the agreement that MSD made with the EPA. There is huge difference between a VOLUNTARY consenting agreement and a court imposed one. I have always been and continue to be an avid Crit LuAllen supporter but the decision to trust MSD with their own audit defies the bulldog tenacity, integrity, and forthrightness Crit brings to the plate. Why would we allow the fox to guard the hen house? Currently MSD is already engaged in a legal battle over what many perceive to be illegal rate hikes per KRS. There are countless examples of MSD improper spending. There is literally no oversight of MSD by any credible agency. There are many questions to be asked for sure but one glaring problem stands out right now. The MSD board is made up entirely of Jerry Abramson appointees period. With Abramson running for Lt. Governor on the Beshear ticket, and Crit is a party loyalist, perhaps this is her way of not rocking the boat before the 2011 elections. I don't know for sure but I certainly find this decision very suspect based on the politics involved. Future Fund raises many concerns, not the least of which is their allegations, made in correspondence and conversations with the state through its executive director, Jeff Frank, include MSD paying too much interest and fees on debt, conflicts of interest by its board members and cozy financial relationships between the agency and developers. I have outlined those same concerns on this website for some time using the Birmingham, Alabama example that Bud Schardein used to use as the biggest example we were following. This one is from December 2008 Louisville News and Politics: MSD: THE COMPARISON CONTINUES. Here is another from November 2008. 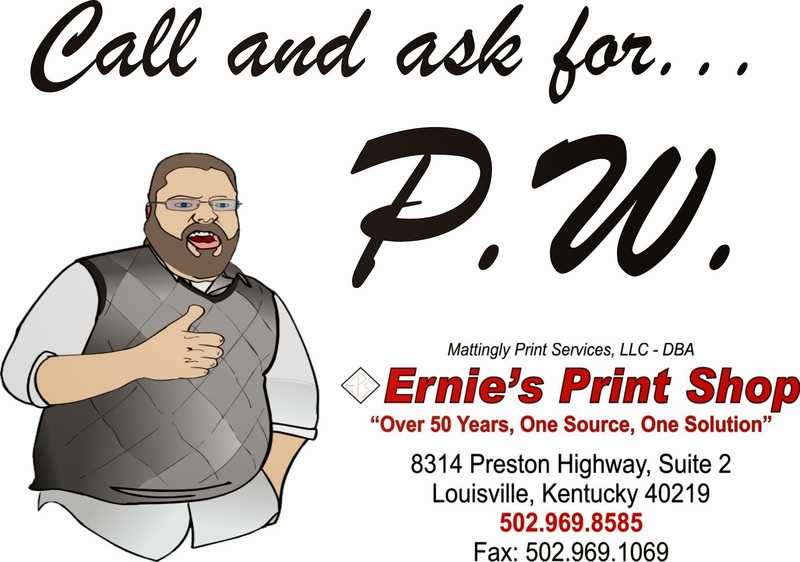 Louisville News and Politics: MSD: DISASTER LOOMING? I have been fighting this for years and bringing the truth to each of you. Working in conjunction with STOP I.T., the organization that filed the recent lawsuit against MSD, and now it looks like Future Fund is getting on board. The more the merrier as many are finally becoming aware of what we have been saying. There is plenty of evidence out there to make the case for a true audit not an in house one by the fox and many like myself have been begging for one for years. Crit, you know I like you and respect you, but in this case you should have done so much better. We Louisvillians deserve a true accounting of this disastrous office. Considering the push for a regional wastewater program that will be headed by Louisville's MSD an audit is a necessary thing right now. The Kentucky Congress goes back in session in January and one of the first votes they will work on is HB221 that will result in the regional system MSD favors. We must make sure they are accountable before we drag the rest of the State into this mess. If they cannot be held accountable on a local level how in the world will we gain accountability in an expanded level? Knowing that Abramson, Beshear, and their Democratic political machine cronies will favor this regionalization so they can benefit regardless of us, we depend on watchdogs such as you to protect us from these clowns. Do you really want to sit on the sidelines and make this apparent political decision? Crit you are better than that. Give us what we deserve. I just finished listening to the Judge interviews by the CJ in its entirety between Katie King and James Green. I have to say King did ok but Green actually impressed me a bit with his openness and honesty. James Green paid a price by losing an election in 2002 because many people thought he was ex Sherriff Jim Greene who was being hammered by the media at that point in a very negative way. James Green IS NOT Jim Greene (notice they even spell their names differently? But hey on with the show. Katie was specifically asked about her Dad's involvement financially in this campaign and she stated she assumed he would give her the maximum limit of $1000 since that is all that is allowed by law. I find it oddly convenient that the CJ did not ask about the illegal campaign contributions from her dad in the last election of which Katie and Jim paid a joint fine of $30,000 earlier this year. And they are STILL under Kentucky State Police investigation for possible (yeah right more like KNOWING) criminality in regards to the illegal financing of her campaign 2 years ago. What happens when they get indicted? Could be interesting. Another interesting question concerns her behavior since being elected to the bench where she states she has essentially had no trouble with the law, or specifically no 911 calls, since being elected. She states she has done nothing to bring disrespect to the bench. She must have conveniently forgotten the fiasco from March of this year: Louisville News and Politics: Katie King nailed again. I would say that was significant as a sitting Judge and a convenient memory lapse again. Oh yeah at the end is where she says no when asked about illegal drugs. Finally she speaks about Juvenile records being confidential and I actually agree with much of what she has to say about it but can't resist this clip where she talks about how these juveniles can grow up and be a threat. Of course she was a threat just a couple of years ago, as an assistant in the prosecutor's office, against her then boyfriend when she tried to break in his door resulting in a 911 call to police to get her to stop. The biggest problem I have is the fact that she still doesn't get it. Not admitting mistakes and then lying about behavior once again shows me she lacks the character and integrity needed for the job. Period. I just listened to the last part of the CJ live interview with Katie King and James Green who are running in the race for District Court Judge Division 16. There were many laughable moments in this "interview" but one stood out above all others. When both were specifically asked if they had ever had substance abuse problems with legal or illegal drugs Green answered truthfully that he was an alcoholic and has been sober since August 2008. Katie's response? She said no with a smirk. Seriously Katie? There are many reports that you are using drugs now including cocaine. Would you agree to a drug test without prior notice to disprove these rumors? You know like we in the private sector have to for our employers. Forget the public media where you were found with marijuana all over YOUR house that you had a boyfriend take the fall for. Ignore the fact that you had a 911 call placed against you by an ex boyfriend for domestic violence when you tried to break his door in at his home. Even on the bench you say you treat everyone fairly etc yet conveniently dismissed a DUI case for lack of probable cause even though the defendant violated traffic laws, admitted to smoking marijuana just before driving, and the lab report tested positive. I can't make any of this up folks. Katie went on in her closing arguments touting how respected she is and what a great job she has done on the bench. That doesn't add up either considering the latest Judicial results show her at the bottom of the heap. When asked by the CJ board if she thought the name King helped her she actually stated it probably did but not because of her Dad Jim. No she felt it was because King was such a well known name and likened it to people thinking of Martin Luther King, Jr when they saw it. I could go on and on but really this train wreck still does not get it. Like him or not James Green was at least honest and forthright when being grilled by the CJ board and believe me they grilled him. They continually hashed out his personal life even wanting specifics on his divorces, on his child support, and spent so much time trashing him personally one would have thought that Katie was the alter girl she wants us to believe she is. It was a pathetic display by the CJ in my opinion to spend so much time trying to chastise Green while letting Katie off the hook because of political connections. Was Katie even asked about the fact that she is still under investigation by the Kentucky State Police, as is her dad Metro Councilman Jim King, for felonious criminal activity in the last election? Bottom line is this. We deserve someone who is at least truthful and Katie still has not learned to be. I am not sure about Green but I do like the fact that he at least tried to answer honestly and accepted responsibility for his shortcomings. He really doesn't. Either that or he doesn't understand basic economics. Take today's debate for example. Fischer actually tried to accuse Heiner of not knowing the facts in regards to Fischer's love of new taxes. Each candidate was allowed to ask one question of their opponent and Hal chose to point out Fischer's flip flop love of taxes. Heiner pointed out that Fischer had agreed to a local sales tax for the arts in February and that Fischer supported the library tax that was soundly defeated. I laughed so hard at this dumb Fischer response I choked on the water I was drinking. Really Greg? In February you said you supported the local arts tax option and had no problem using it as a funding mechanism for the arts. You even reiterated it in the CJ online interview much later. You also unequivocally stated you supported and actively helped pursue the library tax that the majority of Louisville overwhelmingly and soundly defeated. Psst Greg? When you answer a question that includes the word tax as saying yes you support it then the only one who don't have their facts straight is you. Ever heard the old saying "open mouth, insert foot?" Every time you open your mouth most run for some sort of foot anti fungal spray. Why? Well foot fungus is a serious problem and we just don't want to inhale it when you exhale it and get it throughout our bodies. Know what I mean? Obviously, you can't comprehend the basics of taxation. When you say you agree with raising taxes that means you agree with taking even more money out of our pockets to put wherever you deem necessary. Quite frankly we have had enough of this mindset with your favorite mentor Jerry Abramson. Even worse Fischer is starting to show his true colors by using lying negative spin. We saw it in full force in his last race against Lunsford and we are starting to see he will follow the same path again. That is what you do when you have no substance and make no mistake Fischer has nothing to offer. I was wondering how long it would take him to get back to his true self. In his closing statements, Fischer went after Heiner again, saying the GOP nominee represents an old way of doing business, is a political “insider” and is “the voice of `No’ time and again” on the Louisville Metro Council. Fischer then said Heiner voted no on a pollution reduction program, the city’s smoking ban and the fairness ordinance. I find it very laughable that Fischer could accuse anyone of being a political insider. He is part of that insider machine and always has been. River Fields, ORBP, he is proving more and more just what I have said all along. He is Abramson Part two and that is an insider game. Hal Heiner voice of no? Thank goodness. The STAR program Fischer is touting is the same one that Abramson tried to cram down our throats which almost ran one of our biggest employers in Ford out of Louisville in 2006. It also does not have nearly the National recognition Fischer claims it does. This sounds like Abramson almost word for word and proves once again that he is an insider hack. I should know. STAR was one of the major issues during the 2006 Mayoral election I was in. I fought Abramson toe to toe and stood up for our business community and Ford in helping to sidetrack it. Smoking ban? Good job Hal. For the record I am opposed to the smoking ban and will continue to be. Hal and I will never agree on the ban but Hal did the right thing OBVIOUSLY by voting against it when both were deemed unconstitutional because of exemptions. How can you in good conscience vote for something that is fundamentally flawed from the outset? Hal is to be chastised for getting it right? Fairness ordinance? Hal has a duty to his 19th District constituents to vote on this issue the way they tell him to. He was elected to be THEIR representative. They said no, so did Hal. While again Hal and I would disagree on this issue he did what he was elected to do by his constituents. So Greg, with this flimsy argument of yours have you now confirmed what we already know? You will do whatever you want regardless of what we elect you to do? Bottom line. Fischer needs to get out of the game or at least get better at lying like Abramson. Abramson makes lying an art form, (hmm maybe that's why they want an "arts tax" now so they can funnel some money to Abramson who never does anything if he doesn't get paid), but Greg Fischer is no artist. In fact I am sure Fischer couldn't qualify as an art assistant at this point. AG Jack Conway is apparently trying to alter the election process in Henderson by doing what? Ignoring his duty to the voter of course. Henderson's County Judge executive Sandy Watkins passed away on August 27, 2010 creating a vacancy for the position. This created a somewhat unique situation in that the person chosen to replace Watkins was District 4 magistrate Hugh McCormick. Why is this a problem and how does Jack Conway fit in? During the May primary Hugh McCormick faced Democrat Darla Jones for District 4 magistrate and won by 205 votes. 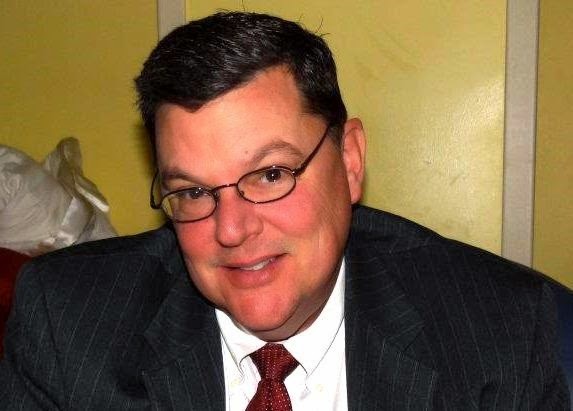 Since McCormick was chosen to replace Watkins as County Judge executive this created a vacant ballot for the position of magistrate and therein lies the problem. Ms Jones was the ONLY candidate running in the primary from either party. No Republican even bothered to run. Nor did any other Democrat. Logically you would think that Jones would have received the nomination of the Democratic party on the November ballot right? A four member board, of which 2 were husband and wife, voted to place Billy "Butch" Puttman on the ballot instead. Puttman is a friend of all involved and got the nomination even though he never sought the office. Strangely enough this is where Conway comes in. According to KRS 118.105(4) If a vacancy occurs in the nomination of an unopposed candidate OR in a nomination made by the primary before the certification of candidates for the regular election, AND if that party's nominee was the only political party candidate for the office sought, the governing authority of each party may nominate a candidate for the regular election, provided that no person has sought that party's nomination by filing a notification and declaration. That last statement is very telling because in this case only one person DID seek the party nomination filing a notification and declaration and that was Darla Jones. This is why she should be the one on the ballot. It would seem that the law would basically favor Darla Jones contention that she should be the nominee. Of course that law only applies when it is convenient for elected officials and what they want. Darla Jones contacted the Secretary of State's office about current law regarding fulfilling vacancies created by this and was informed the AG Conway had the responsibility of interpreting law. Fair enough. But when Ms Jones contacted Conway's office she was basically told that they do not provide OAG interpretations for anyone but lawyers. Considering this is a point of law that directly affects we the voter, and this is the most basic right we have in America, would it not be prudent to make a ruling now in the interest of time? Why do we have to force a few thousand dollars to be spent for an attorney to ask the same question a legitimate candidate asked? Seriously, what's the difference? KRS 118.105 outlines clearly what should happen if a situation like this were to come about and Darla Jones is being left out over politics plain and simple. As the ONLY candidate running in the primary, on either side against incumbent Hugh McCormick, she is the only one who meets the definition of what KRS 118.105 was intended to accomplish. Since the law is clearly being ignored it is crucial that AG CONway deal with this issue immediately. He owes it to all of us, not only because it is his job and he is a candidate for a higher office, but in the interest of fairness to not only we the voters, but to the whole electoral process itself. To ignore this because someone does not spend a few grand making his attorney buddies happy makes a mockery of the electoral process. I must also mention County Attorney Steve Gold had requested an official opinion from Conway, rather than wait for this to become a lawsuit, but from what I understand Conway refused to address the concerns. Why force us to waste time and resources on something that should be ruled on for the betterment of our electoral process? A ruling will simplify the whole situation and negate the necessity for wasted time and money on lawsuits. More importantly it would help us get some integrity back into the electoral process itself. I urge each of you to call Conway's office at (502)696-5300 and demand he release an opinion on this matter so we the people can be heard fairly.